Home Informations Guides and Advices for Chihuahua Preparing for the arrival of a Chihuahua puppy, guide and advices. Preparing for the arrival of a Chihuahua puppy, the Guide and the Tips. When our Chihuahua puppy enters the house for the first time, he brings with him a lot of happiness, but also a lot of responsibilities. 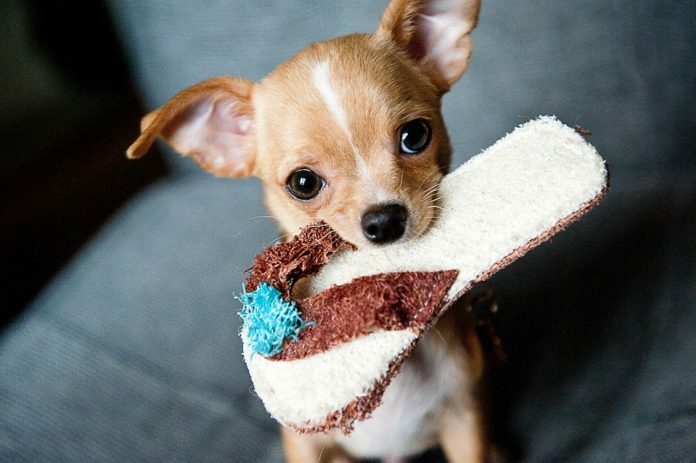 It would be good to find him immediately all the kit of accessories for a Chihuahua, essential to his livelihood and a family well prepared to educate him to the fullest. The first expenses always bring a huge emotion, since for many, that moment means to become the Owner of a dog, or of another dog if someone already has it. One for water and one for food; those of metal would be preferable because they are more hygienic, but I can understand that they are not really liked much, because of their simplicity. Let’s be honest, everyone likes the bowls all colored and decorated, because they attract better our attention. In fact, on the market they are quite easily found in plastic frame, decorated with various motifs, where the simple and classic steel bowl is always inserted. This, in fact, can be removed and inserted when desired, to make washing or filling even more practical. Adjust yourself according to the growth of the dog, by avoiding the expense of five different collars in the first months of life, since they are those in which the growth is greater and even faster. Do not be afraid also to tighten it too: the right size should be when, between the collar worn and the dog’s neck, you can easily pass a finger, so as not to risk that the puppy can pull it off. Obviously this should be related to the size of the dog, however, always check that it cannot be removed while pulling it away..
My advice is to start with a leash of cloth, to teach your puppy to walk beside you and not to pull it, and to keep it anyway always close to you for any eventuality (busy roads, other dogs that you have not noticed, etc.). This type of leash, however, may have some flaws: it is not difficult to see puppies that are starting to consider the leash a toy, and starting to nibble it, by pulling it and sometimes destroying it. To correct this behavior as quickly as possible my personal advice is to buy a leash with the chain part, obviously of a size compared to that of the dog, so that it does not weigh and does not bother him. This way when the dog tries to bite the leash it will feel an unpleasant sensation and will quickly start to dissuade itself from doing so; generally, in this way, after a few months, you can return to the leash of cloth without having more problems of this kind. 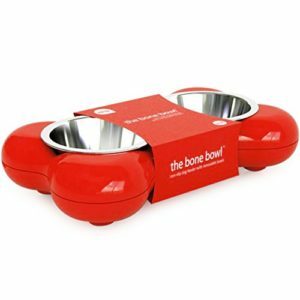 This accessory is useful to teach our puppy to do the needs. These are essential in the period in which the puppy still does not have all the vaccinations or the appropriate recalls, and therefore cannot for the moment be taken out, in order not to run into risks for his health, due to the encounter of some pathogen on earth, or for meeting of other infected dogs or their dejections. 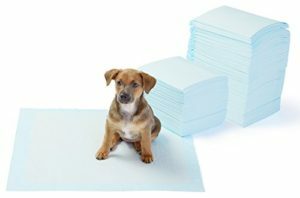 Some trick to teach him to use this item: when our puppy begins to look around, wary, ready to do his needs, you must immediately bring it on the cloth to make him understand that this is the most suitable place. Once he has done his needs on this, it is necessary to reward him with a biscuit by praising him abundantly. It seems to me right to add that you should never scold the dog, however difficult it may be sometimes, in case he does poop or pee where he should not. The positive reinforcement is much stronger and faster as a method of learning in the dog, compared to the negative ones consisting of scolding, spanking and so on. This includes even the brutal belief that one should put the dog’s muzzle in his own urine to let him know that he must not do it there; with these methods you risk only to traumatize your little friend and take a step back in winning his trust and his affection. For this, however, you must be very patient, and take it out very often, even ten times a day, possibly until it does a “pee” or the “pup” and at that point, just finished the act, even here you have to reward him and praise him. in the first place, because as long as you are busy taking him out all day long, he will seem to have a ready-to-pee tank, and he will do a lot of it all over the house, small and scattered everywhere probably. If instead you accustom him to use the absorbent cloth that will become his point of reference for most of his needs. Secondly because in the case of a long rainy day, in which time does not seem to give any respite, the sleeper will always be a good alternative to not bursting, especially since most dogs do not like to do their needs in the rain; therefore, in any case, there could be the eventuality in which, even if you decided to take him for a walk, he refuses to come out and so you would have earned only so much water. A place to sleep, like a bunk, a padded mat, a cot, a place all his own where he can relax. An accessory in which he will have to be possibly accustomed right away so as not to make him experience as a drama. A dog that is not at ease, or afraid, always looks for a place to take refuge. Since the carrier has three closed sides, it should give him security, as if he was safe. 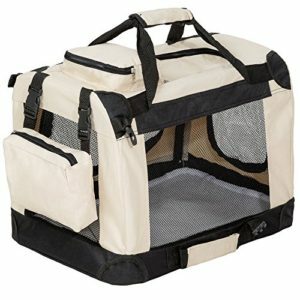 To do this, leave the carrier on the ground, always available to the puppy, so that he can get used to the presence of this. Maybe the first few days incite him, without forcing him, to enter and “try” him by putting a couple of inviting croquettes inside of the carrier. – A muzzle, although uncomfortable and unpleasant, but it would seem that by law, at the request of a public official, we should put it to our friend. Even here, you have to practice him as early as possible if it was a game, by sliding it for a few moments with the trick of offering a prize at the end. So at least, in case of necessity, which hopefully never comes, we will be able to quietly insert it without making him experience a nightmare. They can be in different shapes, like collars, drops, treats, … ask your veterinarian for advice which is best suited to the breed and size of your pet and if it is in contact with other animals like cats e.g. They are not essential in the first few months of life, because it is not recommended to wash it early, it is usually preferable to wait until the dog grows. The bathroom should not be done too often, not more than once a month, to avoid damaging the hair and the skin, and it must be used only specific products for dogs and we must avoid our soaps! For some breeds or longhaired varieties it is good practice to brush the hair several times a week, so you should also have a brush and of course a good patience! The cleaning of the dog’s teeth becomes essential when in its diet there is also wet food such as (cans) as well as dry (croquettes). 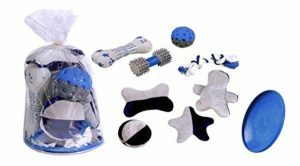 (biscuits, treats, …), and different foods for puppies, because they have a different composition from that of adult dogs. That’s why you’d better get a good brand from your vet, specifying your budget. I do not recommend giving table food so as not to fall into unpleasant situations when the dog jumps on your legs, tries to steal your food and sometimes can also become aggressive. of any shape, color and texture, old slippers, rags that are no longer used, ropes, rolls of toilet paper, … in a nutshell, potentially anything can be a game! Finally I recommend that you bring the most important thing: the patience! A new dog is an adventure, and your lives will have to adapt to that of the other, but always remember to never miss so much love, fun and a good physical activity, and your puppy will grow up happy! Previous articleThe Chihuahua Vaccines, Guide and Advices. Next articleBuy or Adopt a Chihuahua, Guide and Advices.